The waiting room lights seem brighter than they need to be. Two other candidates are also waiting, but you know you’re up next. Your hands are a bit clammy and you find yourself wishing you had an interview question and answer cheat sheet. I’ve got good news. You don’t have to wish anymore! If you’ve ever been stumped by a manager’s interview questions, fumbled over words, or took way too long thinking before answering with vague, (what you knew were) inadequate responses, I’ve got you! In my simple, step by step fill-in-the blank interview questions and answers cheat sheet, I’ll go over some of the most common interview questions, and the characteristics of the best possible answers. With years of experience in HR, I’ve sat in on over 100 interviews, so I know these tactics work. The dreaded “Tell me about yourself,” question has got its own format. You can check that out in my “introduce yourself job interview” pdf. 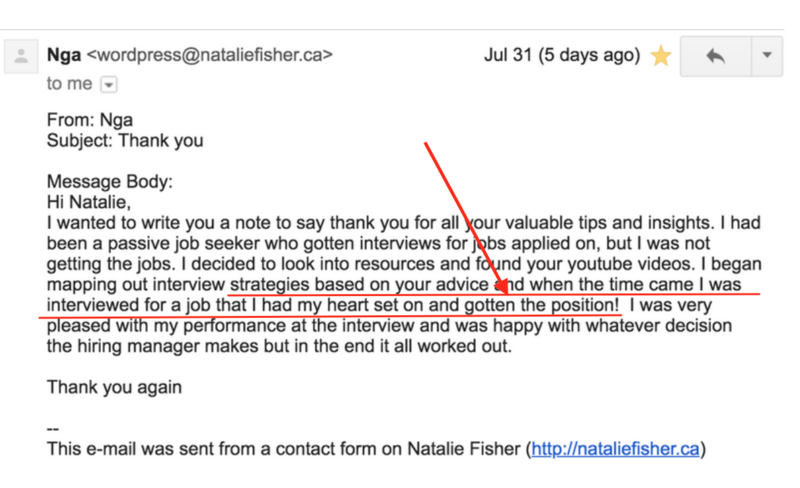 I’ll explain to you the psychology behind the questions — What interviewers are really asking? And the types of answers they’re looking for. I’ll give you a fool-proof process I like to call S.A.R.I, and let you in on my tried and true tips for making yourself stand out from the other candidates. This seemingly painful test hiring managers like to give you is really about telling engaging stories, and in my interview questions and answers cheat sheet, I’ll share with you how to do just that, even if you don’t have experience in the position or industry you’re applying to work in. From questions on leadership, to failure, to workplace disagreements, wrapped up in a convenient little cheat sheet I’ve prepared to help you succeed in your interviews and land your dream job! If you are lacking experience, don’t worry. The cheat sheet includes 25 questions at the end designed to get your creative juices flowing; like prompts to jog your memory on any situation in past work, school, or life experiences that could be used as prime material for responses to interview questions. We all have had valuable experiences that can be used, it’s just about recognizing them and framing them in a manner that will exemplify your value and make the hiring managers remember you at the end of all the interviews. There are certain powerful trigger words that you should use in your storytelling, and certain characteristics you can give your story to ensure a connection with the interviewer. There are also common pitfalls candidates make that will guarantee they don’t get the job. You deserve a fulfilling job that you love waking up for! 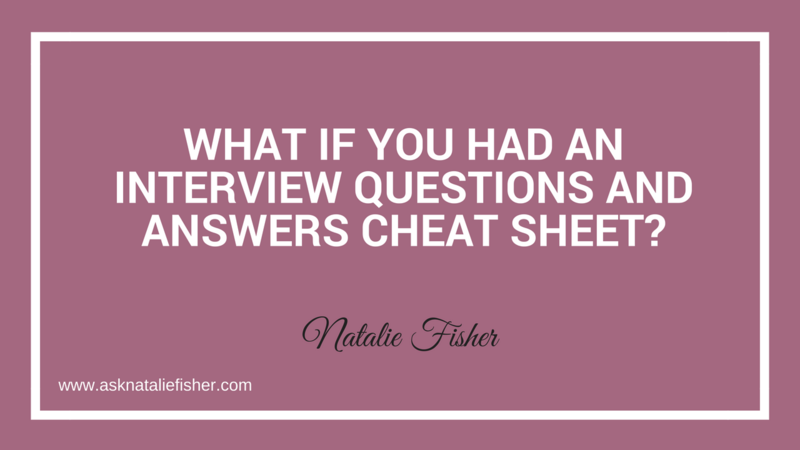 With a little bit of brainstorming and practice, my interview questions and answers cheat sheet will ensure that’s the result you end up with. It really is obvious when someone walks into an interview prepared: their energy shines with confidence, and their answers to questions are succinct and specific. If you use my cheat sheet to prepare, you’ll be that person!